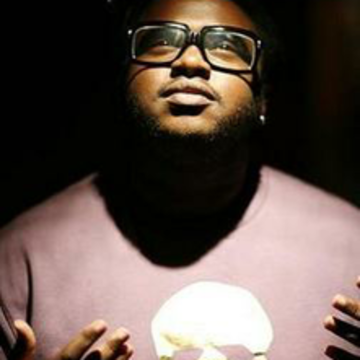 James Fauntleroy, or simply Fauntleroy, is a singer, songwriter and producer from West Hollywood, California who is part of multiple collectives, including The Y's, 1500 Or Nothin' (of which he's the acting president) and Cocaine 80s (alongside Jhene Aiko, No ID and Common). Throughout his eight-year career, Fauntleroy has collaborated with the likes of J. Cole, Drake, Travis Scott, Terrace Martin, Robert Glasper, Big Sean, Nipsey Hussle, Sade, Timbaland, Jay Z, Joe Jonas, Alexandra Burke, Frank Ocean, Rihanna, Ciara, Justin Timberlake, Leona Lewis, New Kids On The Block, Britney Spears, Kelly Clarkson, Katharine McPhee, Chris Brown and Brandy, as well as those mentioned above. Most recently, we heard him on "Know Bout Me", the first single from Timbaland's upcoming album Textbook Timbo, which will also feature Jay Z and Drake. Stay tuned. He performed at the 2013 Soul Train Music Awards. Fauntleroy co-wrote every track on Justin Timberlake's 2013 album "The 20/20 Experience". His musical talents include singing, songwriting and producing. Fauntleroy was awarded a GRAMMY for Best R&B Song for his involvement in Justin Timberlake's "Pusher Love Girl". He's a former member of The Underdogs. Kendrick Lamar Shares Features On "To Pimp A Butterfly"
Stream/Download James Fauntleroy's Free Album "The Warmest Winter Ever"